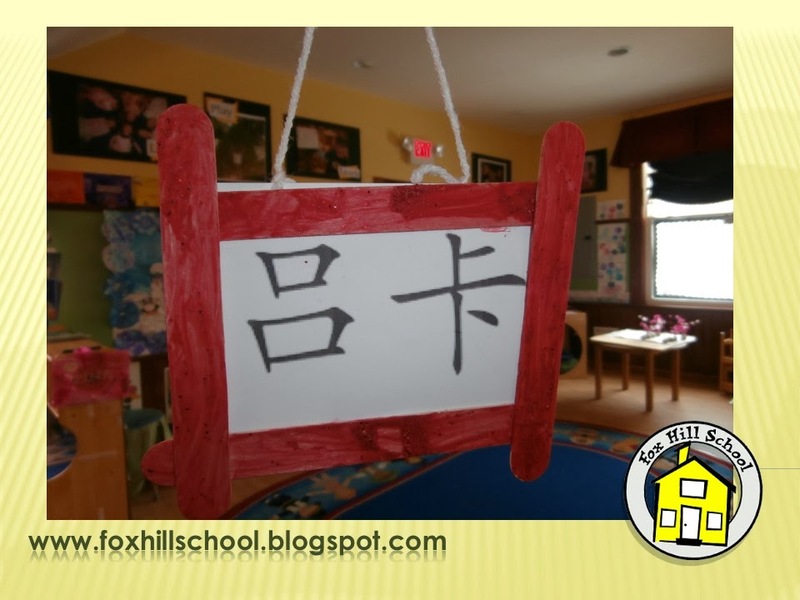 Fox Hill School: My Name in Chinese! 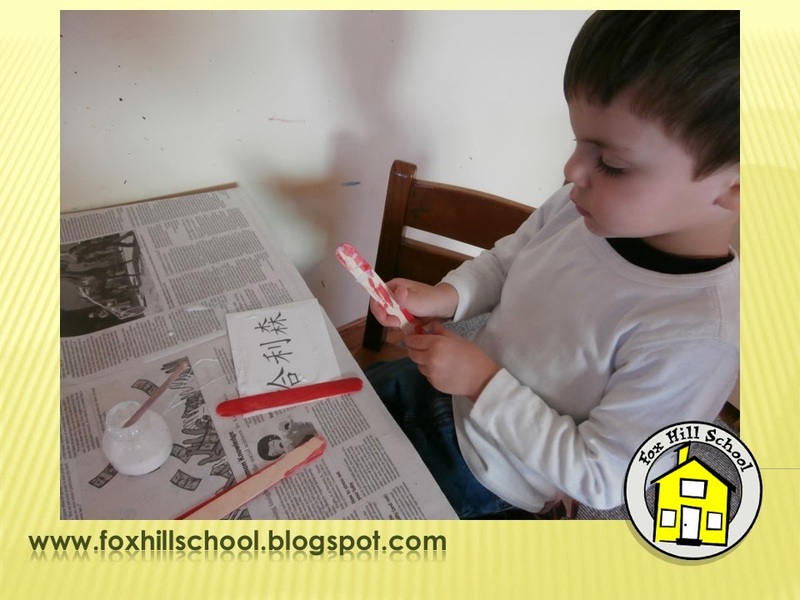 Here are a few more simple Chinese New Year activities that the kids loved! 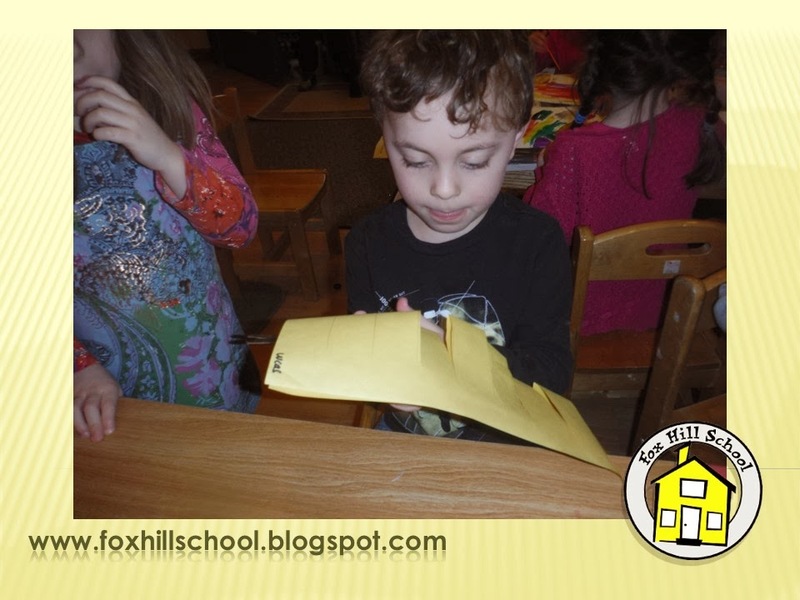 Ms. Michele at the Fox Hill School Kindergarten found this great website that will translate names into Chinese characters! http://www.chinesetools.eu/names/ I used this website to print out each child's name on card stock. 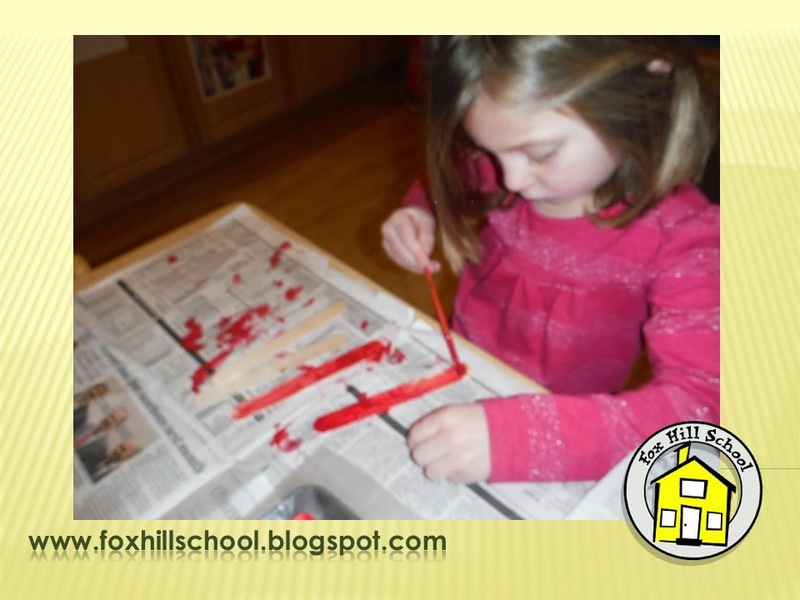 The kids painted large craft sticks with red tempera paint. 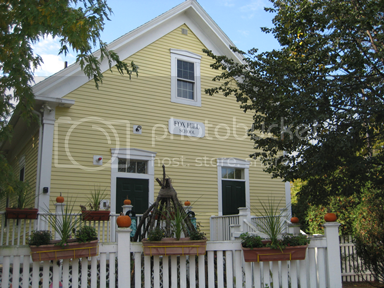 Once they were dry, they glued the craft sticks to the card with their Chinese name on it. We added a little string to the top and each child had their own Chinese wall hanging with their name it! They look so cool! 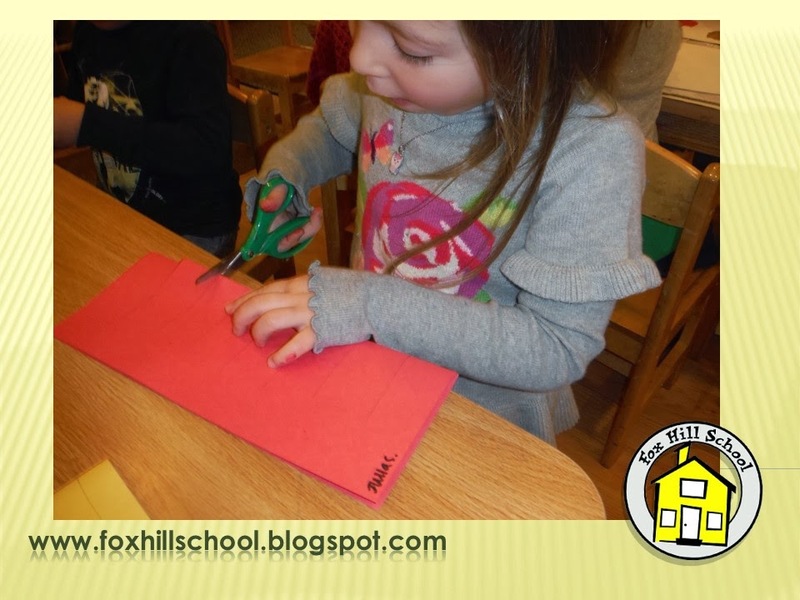 As a fine motor activity we had the kids cut along lines on the side of a folded piece of construction paper. They had to be careful not to cut all the way across the paper! Then we opened them up and taped the uncut sides together. Voila! 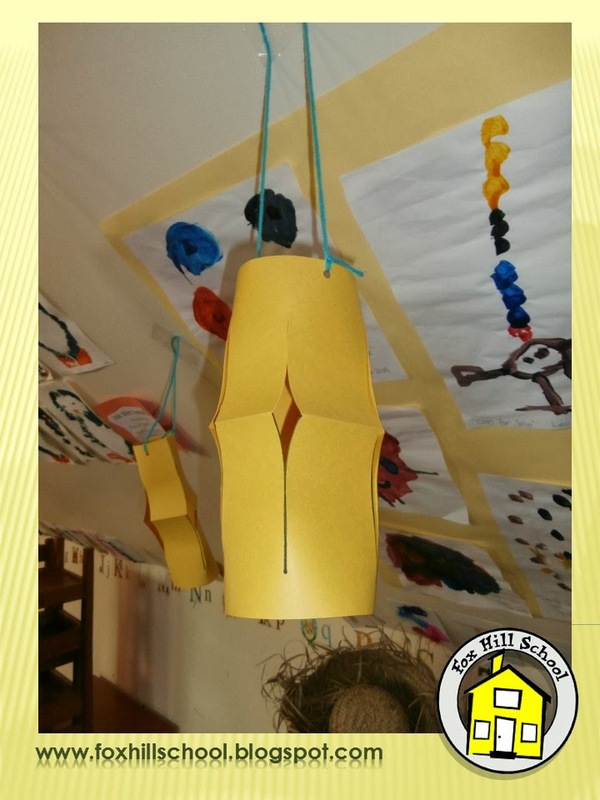 Easy peasy Chinese lanterns! 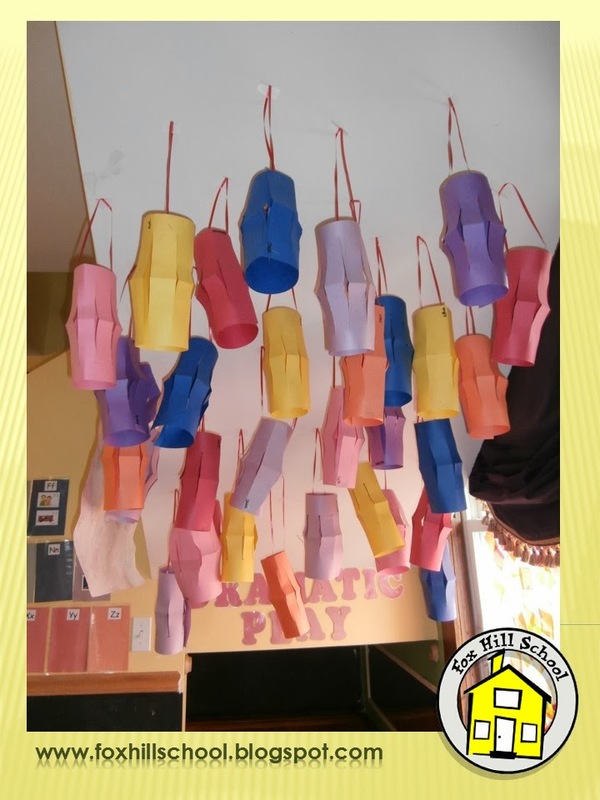 They look great decorating the Chinese restaurants in our Dramatic Play areas! If you would like to purchase any of the books we are reading at the Fox Hill School for Chinese New Year, click on the pictures below to order from Amazon!